The learners receive direct instruction and practice recognizing and analyzing simple patterns to predict what comes next or what is missing from the pattern. 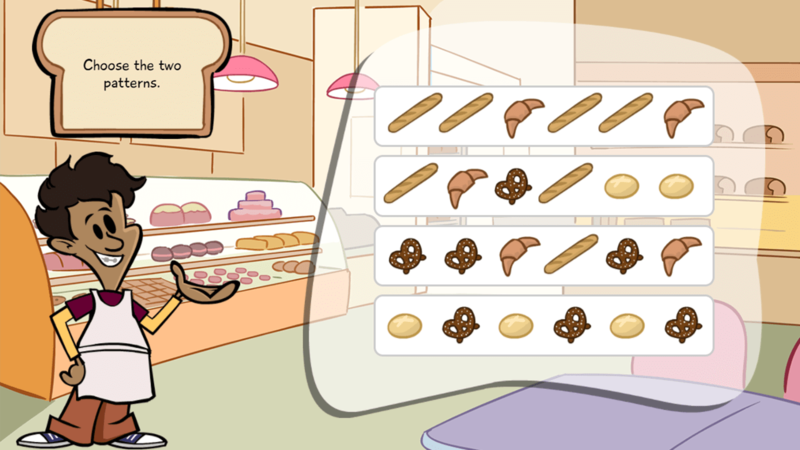 They will be introduced to computational thinking and how computers use programs and software to analyze patterns and solve problems in this engaging and interactive digital lesson. Understanding and completing patterns are fundamental skills of computational thinking. In this Application Exercise, students complete or create patterns to design a t-shirt to be worn on Spirit Day. 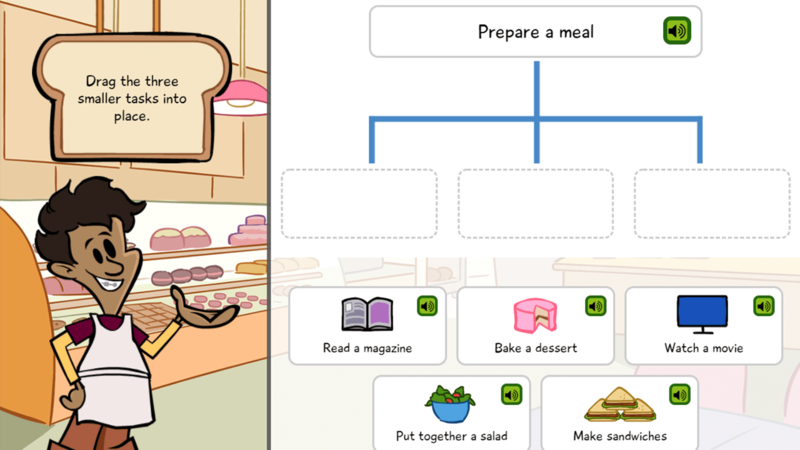 The learners receive direct instruction and practice with computational thinking and using directions as a list of ordered steps that explain how to accomplish a task, achieve a goal, or solve a problem. 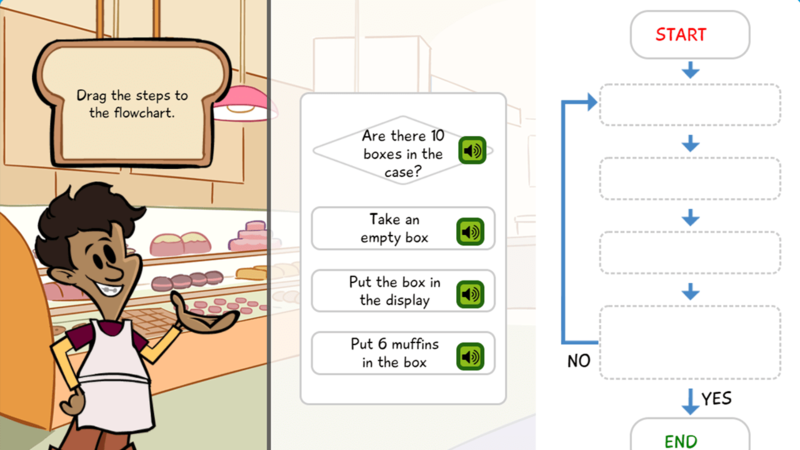 They collect and organize information to create a set of directions that they test for accuracy and completeness in this engaging and interactive digital lesson. Following and creating directions are a precursor to algorithms and are a fundamental skill of computational thinking. 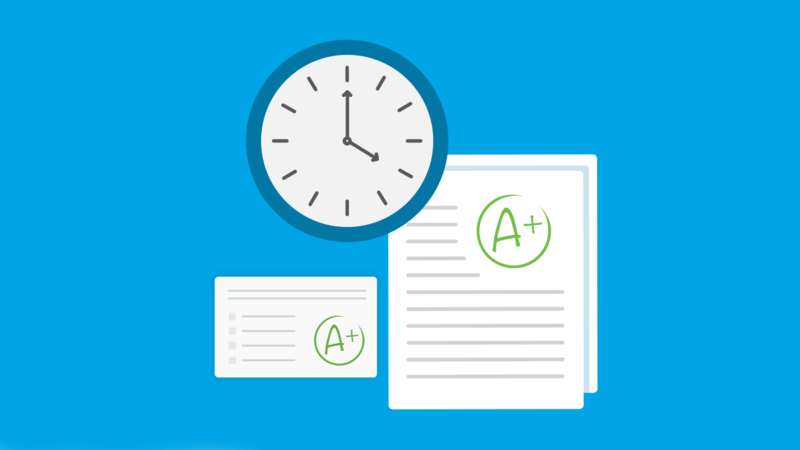 In this application exercise, students create a poster detailing directions of a classroom task or procedure to help a new student adjust to their class. 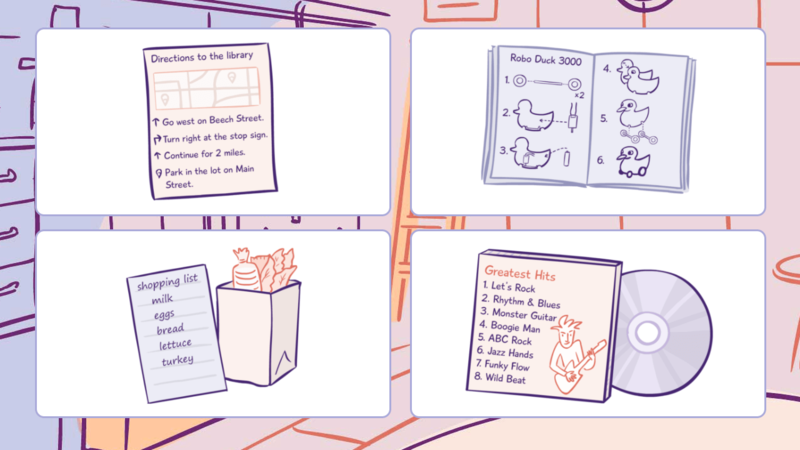 This quiz focuses on computational thinking and asks students to demonstrate an understanding of patterns and directions. Students will analyze a group of objects to determine if the arrangement of the objects shows a pattern, and if so, what rule that pattern follows. Furthermore, students will predict what comes next in a pattern. Students will know that directions can follow a pattern in how to accomplish a task. Students will analyze a set of directions to find missing or incorrect steps. 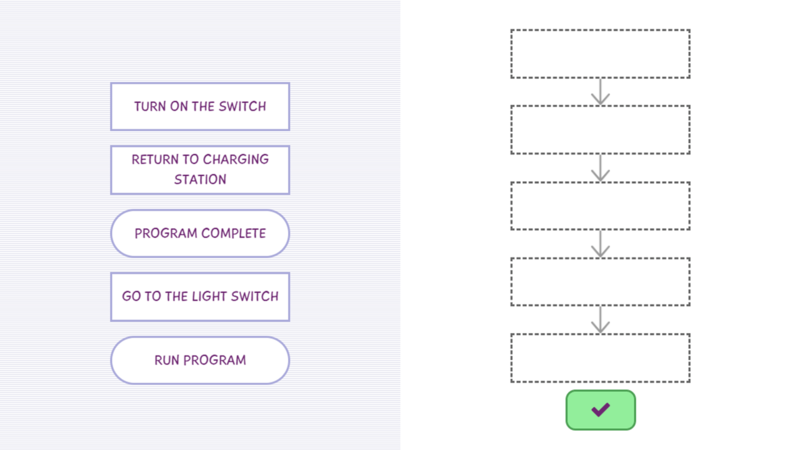 As part of computational thinking, the learners receive direct instruction and practice using algorithms to solve a problem, make a decision, or accomplish a task. They will analyze a situation, create an algorithm to solve the problem, test for reliability and accuracy, and understand that computers use algorithms, called programs, to complete tasks or help solve problems. Understanding and creating algorithms are fundamental skills of computational thinking. In this application exercise, students develop a written algorithm to guide a partner in drawing a mystery animal. As part of computational thinking, learners receive direct instruction and practice using models to represent a process, data, or solutions. They will organize information using simulations and prototypes, develop and test algorithms, and define solutions. They are introduced to binary language, how digital tools use this language, and the importance of algorithms in computer programming. A crucial component of computational thinking is building and understanding models. In this application exercise, students utilize two methods of modeling to create their ideal bedroom. This quiz gives students an opportunity to demonstrate their understanding of algorithms and modeling. Students will know what an algorithm is and what information is needed in order to create and test an algorithm. Students will understand and use important vocabulary used in algorithms and computer programming. The learners receive direct instruction and practice with algorithmic problem solving and computational thinking. They will identify algorithms, inputs and outputs, construct problem statements, and use sample cases, abstraction, and decomposition to analyze problems in this engaging and interactive digital lesson. 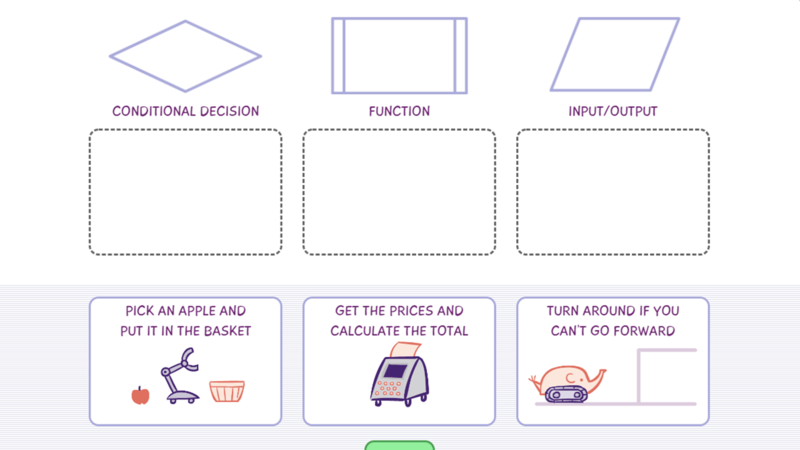 This activity allows students to learn about algorithms by experiencing what life could be like with a disability. Students will create their own algorithms and research adaptive technology that people with disabilities must utilize in order to complete everyday tasks. Students will research how a bill becomes a law in order to learn about the algorithms used to drive this governmental process. 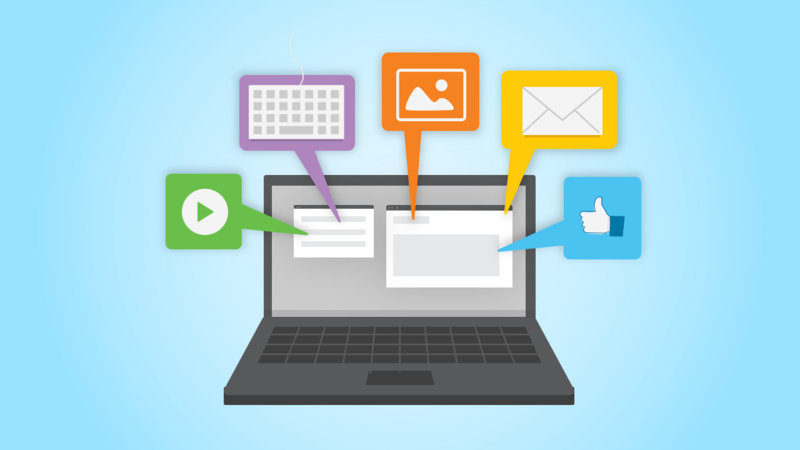 The learners analyze and evaluate algorithmic processes through modeling and flowcharts, and use simulations as tools to test different variables and conditions as they receive direct instruction and practice with the modeling process and computational thinking in this engaging and interactive digital lesson. In this application exercise, the student takes on the role of an architect. The student is presented with the task of creating a community's ideal park with a budget of $750,000. The student is provided with a list of the community's requirements and budget and the student creates an illustrated model of the community park. The student utilizes a data model by creating a spreadsheet of the park costs. Finally, the student creates a flowchart that decomposes the task of seeking community approval for the park. A crucial component of computational thinking is building and understanding models. In this application exercise, students utilize two methods of modeling to simulate the purchase of an electronic device with the money earned from an after school job. The learners receive direct instruction and practice with algorithms, the testing process, and computational thinking as they find ways to simplify and clarify the algorithmic process, develop testing methods for algorithms, find errors, and improve the efficiency of algorithms in this engaging and interactive digital lesson. The implementation and testing component of computational thinking challenges students to be innovative and reflective of their work. In this exercise, students will utilize the "Use-Modify-Create" method to create a safe landing for their egg drop. Students will use their knowledge of algorithms to design a process for hosting a school dance.